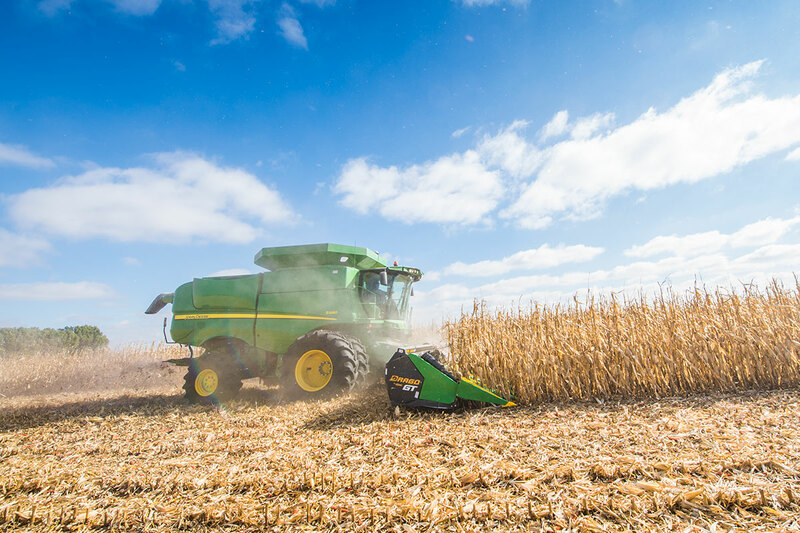 Purchasing a used corn head can be a smart way to save both yield and money, according to Fenton, Iowa, farmer and Dragotec USA president Denny Bollig. And as it is with any used piece of equipment, there are good buys as well as those you should walk away from. He points out that while the life of a corn head can vary from brand to brand, there are several ways to learn if the one you are considering will meet your performance and reliability expectations. “As it should be with any equipment purchase, the bottom line is to choose a used corn head for its return on investment more than just its price,” Bollig says. “And don’t assume all corn heads are built the same or depreciate the same – they vary from brand to brand. 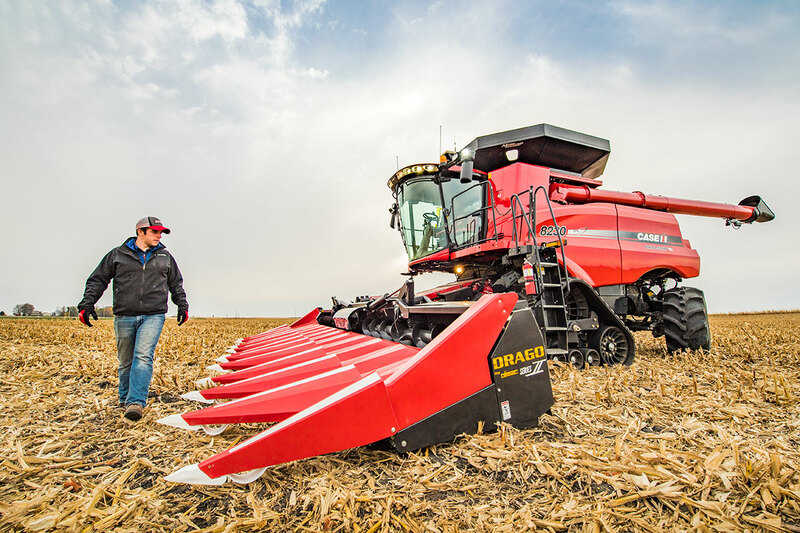 Bollig advises potential buyers to do their homework – to research corn head models and to learn what changes were made from one model year to another. He also suggests trying to learn more about the previous owner – where the corn head was used and the care it was given. Given the opportunity to check out a used corn head in person, Bollig says there are a variety of component check-points to consider that can help determine its value. Gathering Chains - Brands and models with small sprockets wear-out chains faster than larger ones. The tighter chains bend, the more wear they have. Along with chain appearance and slack, Bollig advises prospective buyers to look at the chain tensioner to see how far it has been adjusted for an idea of wear. Deck Plates - Some brands may have extensive wear at the front end of their deck plates,” Bollig says, “resulting from how their knife rollers are designed and the fact that most stalks are processed within a short area.” “You can visually see the wear,” he says. Main Drive Components - Gear drives will last a lifetime compared to chain drives, he says. Bollig suggests looking for signs of past lubrication in bearings and checking oil levels. He also says to open the access door to look at the chain tensioner and check for adjustment. Gear Boxes – Bollig says to put a wrench on the drive shaft and check “backlash” to see how much “slop” there is in the gear components. They all have a minimum of slack, but excessive movement will wear the gears even faster. Auger – It’s unusual for an auger to wear out, but you should rotate it to make sure it isn’t bent. “You may not be able to see if the auger is straight until it is turned.